Organisations, schools and associations inform, educate and inspire the public and industry professionals. If you are an architect, designer, builder or contractor in Adelaide, South Australia, they can provide invaluable expertise and advocacy for you in your chosen field. Associations, for example, can provide detailed insights and up-to-date resources for negotiating the rules and regulations of your local area. Organisations and schools also create a sense of community by providing networking opportunities with industry leaders and like-minded professionals. Furthermore, they encourage advancement in the field by conducting new research and conferences, while also recognising and awarding exceptional design. 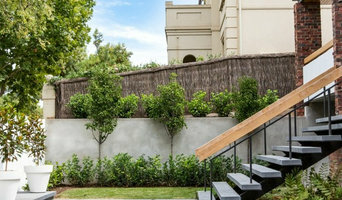 We are the peak professional body for the landscape industry in South Australia. We act as a point of contact for members of the public looking to source a qualified and licensed landscaping professional in their area. We represent Landscape Designers, Landscape Contractors, Garden Maintenance Contractors and associated Industry Suppliers in SA. Our role is to assist and inform our members, the wider industry and the public about the landscape industry, laws, products and professionals in our state. 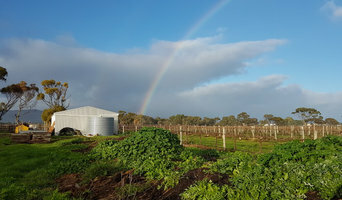 The Building Designers Association of South Australia represents a group of building design professionals who use a combination of experience, skill and the creative application of current technology to satisfy their client's brief in the design and documentation of residential, commercial, industrial and institutional projects, with an emphasis on skilled design, energy efficiency, cost, quality documentation and prompt service. 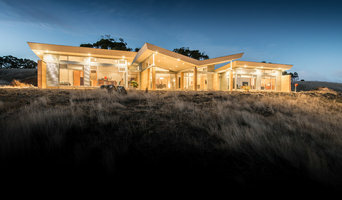 The BDA has been active in South Australian since 1961 and values its reputation as the premier association of building designers. Members are bound by a Code of Ethics and encouraged to operate at the highest professional level at all times. The Association encourages design excellence from its members and promotes the benefits of good building design to the public. The BDA is involved in the development of education and training standards relevant to the building design profession and is now recognised by governments and educational institutions as the leading professional body for building designers in SA. Discover the advantages of using a BDASA member and choose a Building Designer to suit your needs. Search for a BDA member in your area and find out about the services our members can offer. Membership is open to individuals and businesses involved in the design and construction industry. Current Membership grades include Student, Associate, Member, Fellow, Life and Corporate. As we are constantly adding new features and information to this website, please visit us regularly. Master Builders Association of South Australia (Master Builders SA) was established in 1884 to represent South Australia’s building and construction industry. More than 130 years later, we take pride in doing the same thing, representing a complex sector that now comprises commercial builders, civil contractors, residential builders and specialist contractors as well as industry suppliers and manufacturers. South Australia’s building and construction industry directly employs more than 55,000 South Australians, and indirectly supports tens of thousands more South Australian jobs. For this reason, Master Builders SA is committed to building a productive industry and a prosperous community and economy. The industry undertakes about $15 billion of work every year, contributing more than $1 for every $7 of economic activity within the State. Indirectly, more than one-quarter of South Australia’s wealth is produced by the building and construction industry. 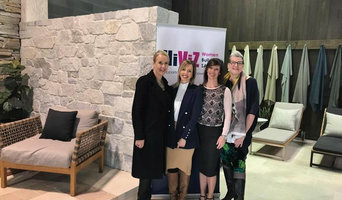 Master Builders SA is proud of the industry it represents, the jobs it creates, the 11,000 homes its members built and extended for families last year and the offices built for South Australian businesses. ARO Educational Services Pty. Ltd. was formed in 2000 to provide industry relevant competency based, flexible assessment and training services. The business was founded in the belief that delivery of a simple and clear training process for all businesses for all staff would enhance the business capacity and professionalism of the whole business. Today we offer many more services, including: •Accredited Traineeships in Horticulture up to the Advanced Diploma level. •Accredited Traineeships in Business, Management and Marketing. ARO Educational Services will work with you the Employer and Employee to •Assess skills. •Highlight the areas where training development will directly benefit your business. •Tailor a training programme that will deliver against your needs and implement it without any disruption to your day to day operation. Our staff have extensive experience and specific knowledge of your industry and are well versed in coordinating vocational training within their industry. Our staff and are in a confident position to deliver our clients a quality driven, industry focused training service, which are fully conversant with your business activities and operational needs. We take immense pride in helping people work through nationally recognised training programmes and earn qualifications that they can use to improve their career paths. My name is Miranda Heunis and I'm a qualified draftsperson, an upcoming interior designer and a professional artist. I love all things art and design so hope you enjoy my work.